Since 1984 the Portland Marathon Clinic (PMC) has prepared local runners for the Portland Marathon. 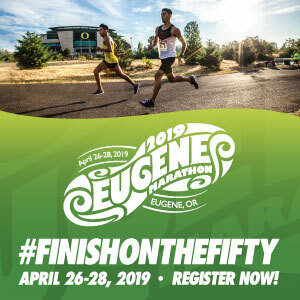 But this summer, for the first time since Patti and Warren Finke founded the Clinic 35 years ago with the official support of the Portland Marathon, there will be no PMC. The Clinic, which employed the “long slow distance (LSD)” training philosophy, was built on getting marathoners to the start line without overtraining injuries or burnout. Unlike many training plans, which encourage many miles at race pace, the PMC coached runners to train considerably slower than their race pace, and learn about race pacing through speed workouts and mid-week tempo runs. PMC has helped thousands of runners run their first marathon, earn personal bests, and even qualify for the Boston Marathon. The most recognizable element of PMC was that weekly free run, usually run each Saturday beginning in April up to the weekend prior to the Portland Marathon. These runs were attended by hundreds of marathoners each weekend, a model that led the nation in race-specific training programs. 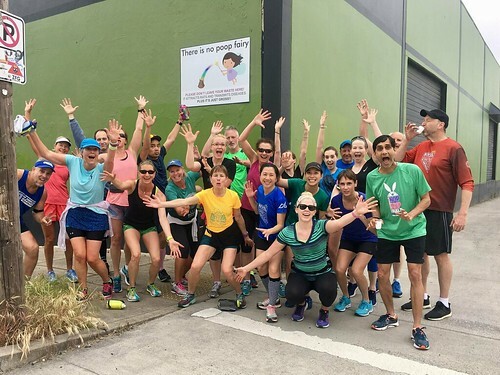 The PMC weekly runs helped runners make connections and learn about race nutrition and motivation, and offered a support network for its participants. PMC offered individualized training plans and access to RRCA-certified coaches, helping more than a few of my own friends surpass their own marathon goals. Led by experienced marathoners, PMC’s long runs were on marked courses and set up with aid stations when distances topped 10 miles. I know personally how much work went into the weekly long runs, and I was just a pace group leader for one season – I can’t image how many hours the founders and coachers put into the Clinic each year. 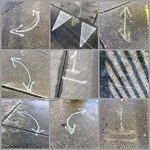 The current landscape for marathon training is vastly different than it was in the 1980’s. After a huge surge in participant numbers in the 1990’s and 2000’s, number have started to taper off for many races, but the Clinic was a reliable part of the journey for Portland-area runners. There are now more coaching/training programs, although none offer the free weekly long run in the manner that PMC did. There is also much more access to online coaching and support, giving many runners a plan to follow and social circles to decode exactly why their stomach blew up during their last long run. Run Oregon will miss the PMC and the free weekly long runs. Coaches over the years have inspired runners by creating effective plans that provide the desired end result, whether that was just to finish or to run a 3:15 marathon. Some of these wonderful people are Bob Williams, Janet Hamilton, Susan Schmidt, Katie Hunter, DeeAnn Dougherty, Meggan Berg, and Diane Lechner. Their success came hand in hand with the hours and efforts of the volunteer pace group leaders. 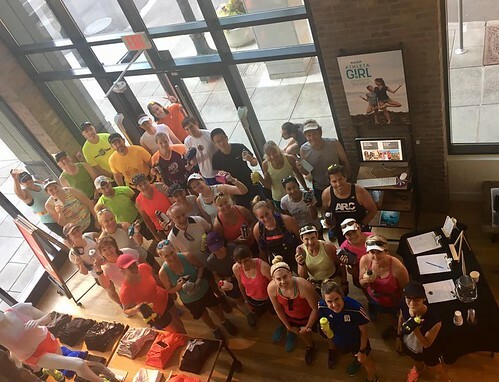 They memorized routes, locked in their group’s training pace, and talked runners through their first 20-milers (and their last). And of course I have to mention the PMC sponsors and runners themselves, who pitched in at aid stations during the season, offering their sweaty friends gummy bears, water and sports drink, and delicious salty pretzels during training runs. 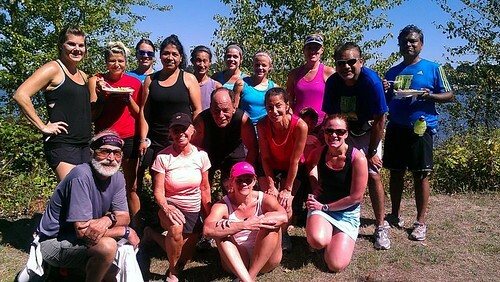 This cast was more like a family, and the runners who came to the PMC weekly runs felt welcomed, appreciated, and celebrated. PMC Coaches Warren Finke, Patti Finke, Katie Hunter, DeeAnn Dougherty, and Diane Lechner. I do want to take a step back and recognize the founders of the PMC that I mentioned above. 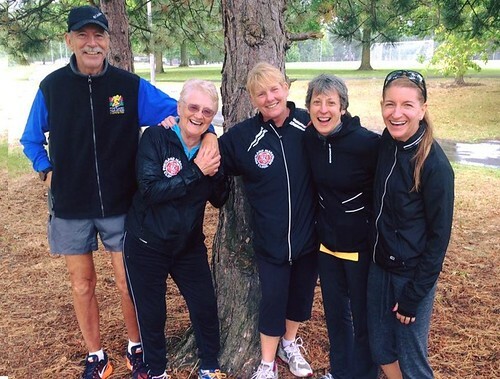 Patti and Warren Finke started coaching runners more than 30 years ago. 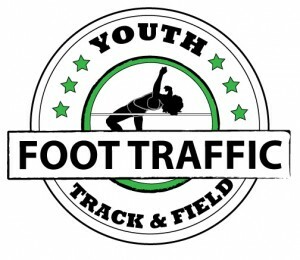 They’ve written articles, books, and been involved with local, nationa, and international organizations on running. They’re both accomplished runners, as well. Patti has held individual U.S. age records for the 50k and 50-mile distances, and been named three times as the ORRC age group runner of the year. Warren has won more than 20 of the 170+ marathons/ultramarathons in which he’s run and has twice held U.S. track records for the 100k. In 1992, he was the 2nd place veterans finisher at the Boston Marathon. The Portland Marathon history is not complete without paying due respect to this couple. In more recent years, Diane Lechner has been the Clinic’s director. Also an RRCA-certified coach, she’s run more than 30 marathons and ultras. Thanks to PMC’s proven training method, she shaved more than an hour off her own marathon time. I’ve known Diane personally for more than 10 years and know that her ability to listen to runners and help them find ways to remove obstacles to their training has made a world of difference for many marathoners. You might be wondering when I’ll get to talking about the possible PMC Reunion Runs – you’ll have to just stay tuned to social media and Run Oregon for announcements on the details. But we can tell you now that plans are in the works for free, informal monthly reunion training runs leading up to the October race. “We know how much the members of Portland’s running community mean to each other,” Lechner says. And you know that she’s totally right. The 2009 Advanced Clinic at a track workout at Duniway Park. On the front left are coach Katie Hunter, co-founder Patti Finke, and coach Meggan Berg. The other co-founder, Warren Finke, is on the far right of the first row, and next to him is coach Susan Schmidt.